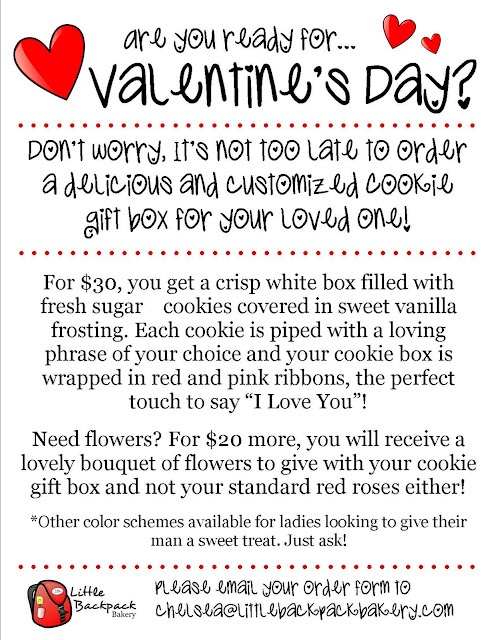 Little Backpack Bakery: Get Your Valentine's Day Gift Here! Get Your Valentine's Day Gift Here! If the order form doesn't work for you, please email me your information/order at chelsea@littlebackpackbakery.com and I willg et back to you ASAP!